This post comes as a general response to questions I get from hundreds of civil engineers asking how they can more rapidly advance their career or grow their civil engineering business. My answer is simple: use the 80/20 Rule in deciding where to focus your time, energy, and money with respect to professional development. You might be thinking, What is the 80/20 Rule? It’s actually an alternate name for the rule known as the Pareto Principle, which, named after Italian economist Vilfredo Pareto, specifies an unequal relationship between inputs and outputs. The principle states that 20 percent of the invested input is responsible for 80 percent of the results obtained. 1) 80 percent of your career success as a civil engineer comes from 20 percent of your efforts. 2) 80 percent of your firm’s revenue comes from 20 percent of its clients. 3) 80 percent of the time, you wear the same 20 percent of your clothes. Let me break down each of these examples so you can start to think about how you can apply the 80/20 Rule in your career and life overall. When you look back on your civil engineering career you can probably find a few major things that have contributed to your success as a civil engineer. For example, getting a master’s degree, getting your first job, getting a P.E. license, serving as project manager for a huge, high-profile project, learning how to become an above-average public speaker, etc. Over the course of your career, you do hundreds of things, but the 80/20 Rule tells us that only 20 percent of them really contribute to your success. Figure out which ones matter the most and carry those out, then find other “big result” items and shoot for them. Note: If you are a student, or a young civil engineer, and don’t have a huge body of work yet, consider asking a more experienced civil engineer what accomplishments helped them move forward the most in their career. 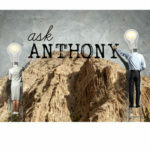 I am currently interviewing engineers and asking this question on my podcast here. Just to clarify before I go further, Pareto’s Principle is a proven principle that Pareto, a mathematician, proved by doing many studies. For example, he found that 80 percent of the wealth in the United Kingdom was possessed by 20 percent of the people. He proved this in so many different arenas that the principle was adopted. That being said, it is not always 100 percent accurate, so it could be 70/30, 60/40, or even 90/10, but it’s always relatively close. If you have the opportunity to look at your company’s revenue by client, you’ll probably see that a good portion of the revenue (roughly 80 percent) comes from a small portion of your clients (roughly 20 percent). Why is this important to know? Because, doesn’t it make sense to focus most of your time and energy on providing dynamite services to those 20 percent of your clients who yield 80 percent of the income, or on looking for new clients similar to them? Yes, yes, and yes. You may see this example as comical, but actually it’s one of the best examples to drive this theory home. Think about what you wear to work every day, or the clothes you put on after work. This is helpful because you can eliminate a lot of your wardrobe, reducing choice-stress, yet not really mess with what you wear on a daily basis. Again, you are focusing on the 20 percent. I decided to apply this rule to my wardrobe one day and I ended up eliminating the entire process of changing over my clothes in the fall from summer to winter clothes, because I had eliminated so many clothes that all of the rest fit into one dresser. Watch an Engineering Career TV episode in which I review my favorite books that explain and help implement the Pareto Principle. Too many civil engineers are focusing on the 80 percent of the tasks that are driving the 20 percent of their success as opposed to other way around. Don’t fall into that trap. Go ahead, right now, and start making a list of the 20 percent of items that will provide rapid career growth for you, and please share some of them in the comments below. 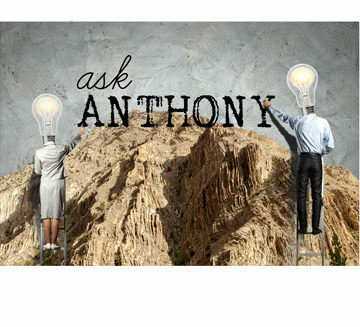 Ask Anthony: How Can I Be More Confident In My CE Career?